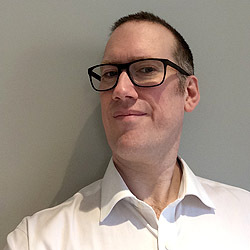 Nic Ransome is a script editor, screenwriter and educator. He ran development at Hammer from the relaunch in spring 2007 till the company was merged with Exclusive Media twelve months later. He undertook the development on Wake Wood and The Woman In Black. He has written for Holby City (BBC One) and Freefonix (CBBC/BBC One) and has developed TV for Silver Pictures Television, Starz, Artists Studio and Bentley Productions. As an educator he has taught M.A. screenwriting degrees and has guest lectured at film schools internationally, including at the NFTS.